Congratulations to Dee Cromie on winning our 138rd High Five Giveaway and thank you to all who entered! 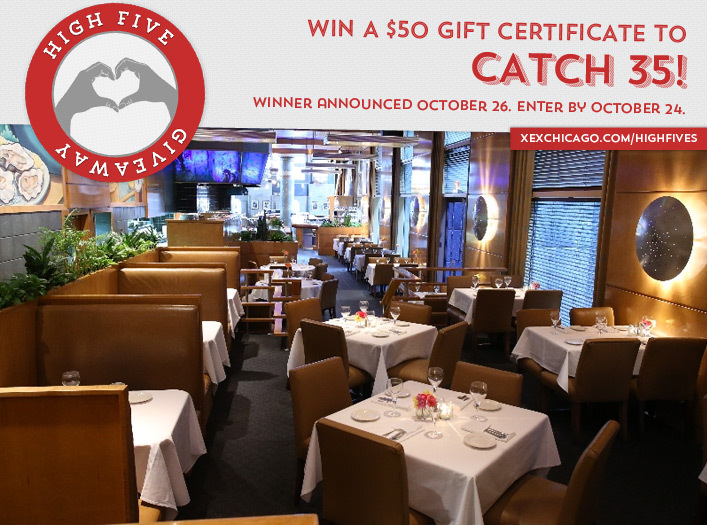 Our next High Five Giveaway is for a $50 gift certificate to Catch 35. What kind of pillowcase should you use if you go to bed with your hair a little wet? Now, just add a comment to this post with the right answer to be eligible to win! The winner will be announced on Monday, October 26. Entries must be received by midnight on Friday, October 24. If going to bed with hair a little wet, make sure you’re sleeping on a silk pillowcase!